In a lot of ways Lee Ranaldo is the Sterling Morrison of Sonic Youth. He plays an integral role in the band's sound, but rarely gets the spotlight for it. 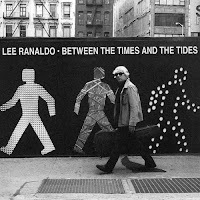 His new album, Between the Time and the Tides, shows just how much of Sonic Youth's sound is owed to Ranaldo. Many of the songs do have a Sonic Youth sound to them (former bandmates Steve Shelley and Jim O'Rourke contribute to the record). However, Ranaldo as a solo artist is much better at balancing the experimental with the pop. A song like "Off The Wall" is a tense struggle between rock, pop, and art, a tug-of-war that results in no clear winner. I've never been a fan of long songs, as a member of the tv generation I find my mind wandering with my short attention span. On the seven-minute "Xtina As I Knew Her" though, Ranaldo manages to keep the intensity up, and thereby keeping the song compelling. Maybe it's the influence of Wilco's Nels Cline, but there's also a fresh alt country tinge to the record. "Fire Island (Phases)" bears a noticeable twang, while a weepy guitar line runs roughshod throughout "Shouts". On almost any Sonic Youth-related project (Daydream Nation and Sister being the obvious exceptions), there are lulls when the musical adventure wanders a little too far. The exact opposite is true on Between the Time and the Tides. When a track misses the mark, like "Hammer Blows" or "Stranded", it's because Ranaldo doesn't push enough. 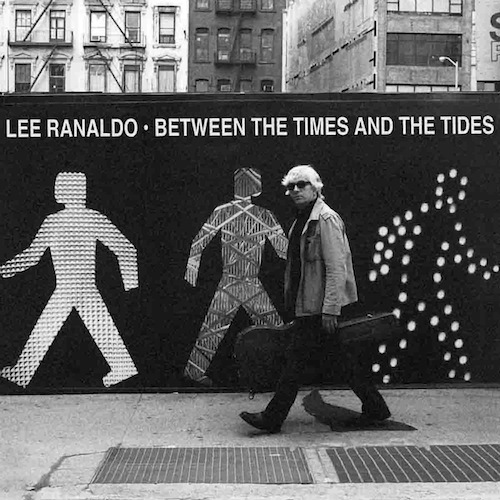 Much like Sonic Youth, Lee Ranaldo is not going to be everybody's thing, and those expecting a version of a Sonic Youth album may be disappointed. Ranaldo though, puts together a competent record that showcases his broader talents. The iTunes version of the record comes with three demo versions of album tracks. Best tracks: "Xtina As I Knew Her", "Fire Island (Phases)"